Easter is such a meaningful holiday but the reason it is so fun is the excitement my children have over family activities and Easter dinner. From egg decorating, to colorful decorations, my kids love it all. 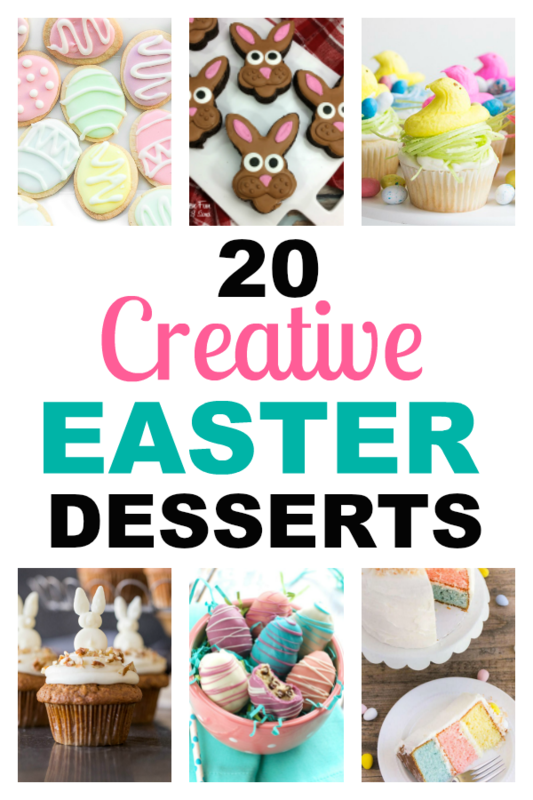 They each have a part in cooking our special dinner but they most look forward to creative Easter desserts. Every year, I let the kids pick what they want for dessert after Easter dessert. It used to be simple when they were small! They wanted a my oatmeal cookies, skillet brownies, or even some colorful jelly beans. Now that they are old enough to watch “Nailed it or Failed it” on television, their desire to be master chefs have increased ten fold. Nobody really worries if the recipes don’t turn out internet fabulous. They are always delicious, even if they look like they got run over by a tractor when we finish. (Some years are more successful than others…. last year, not so much!) As long as there are laughs all around, this will be my favorite time to spending with my kids for Easter. 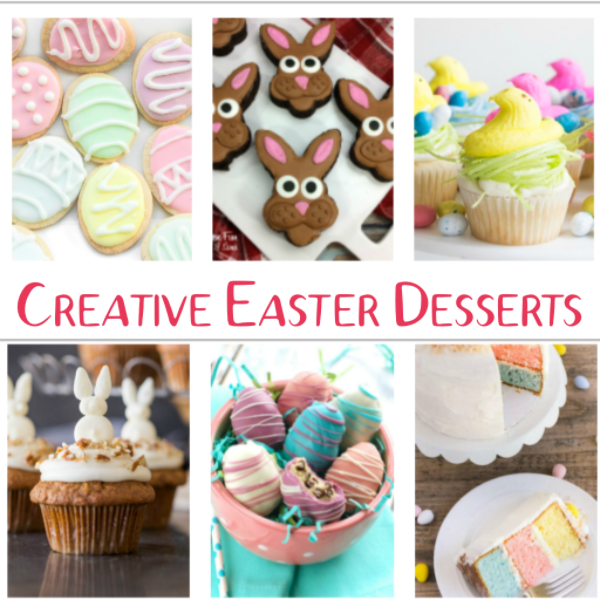 Here are the creative Easter desserts in the running for this year’s family dinner. We have everything from cheesecake and cookies, to parfaits and of course, cupcakes. Which of these are your favorite? Or do you have other special Easter traditions you share with your kids?